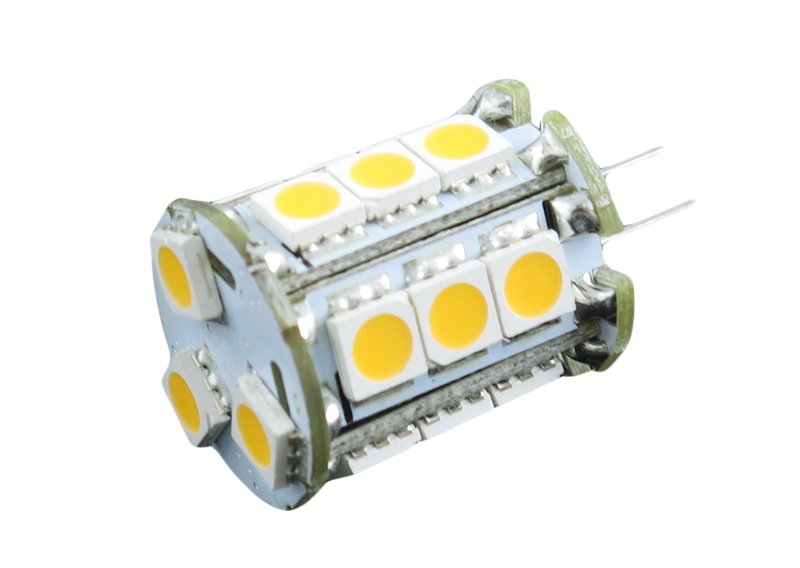 18 SMD LED bulb. 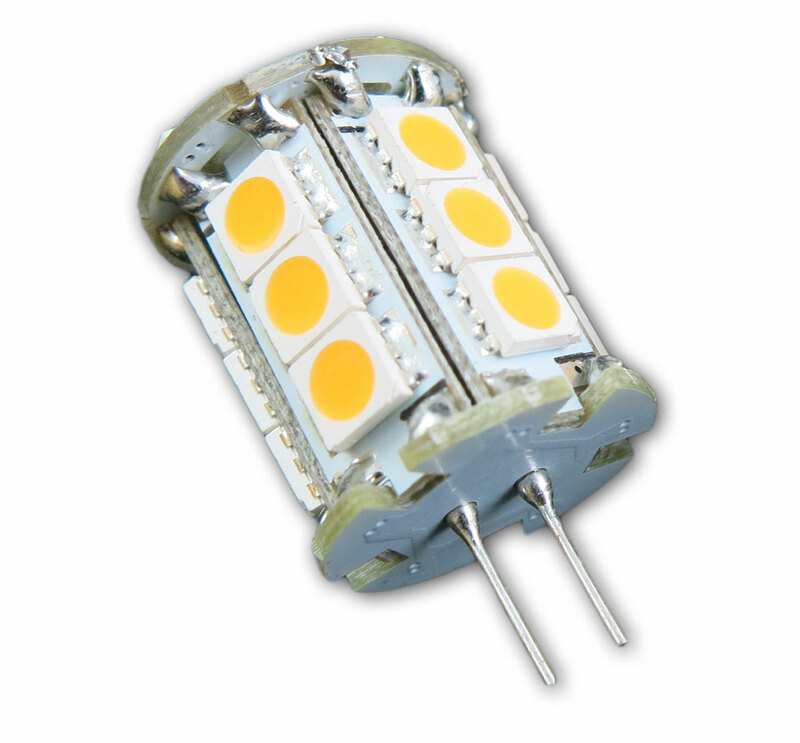 This LED is able to function on an input of 10-30 volts DC. Low tower style LED replacement bulb. 12v replacement for G4 socket types. 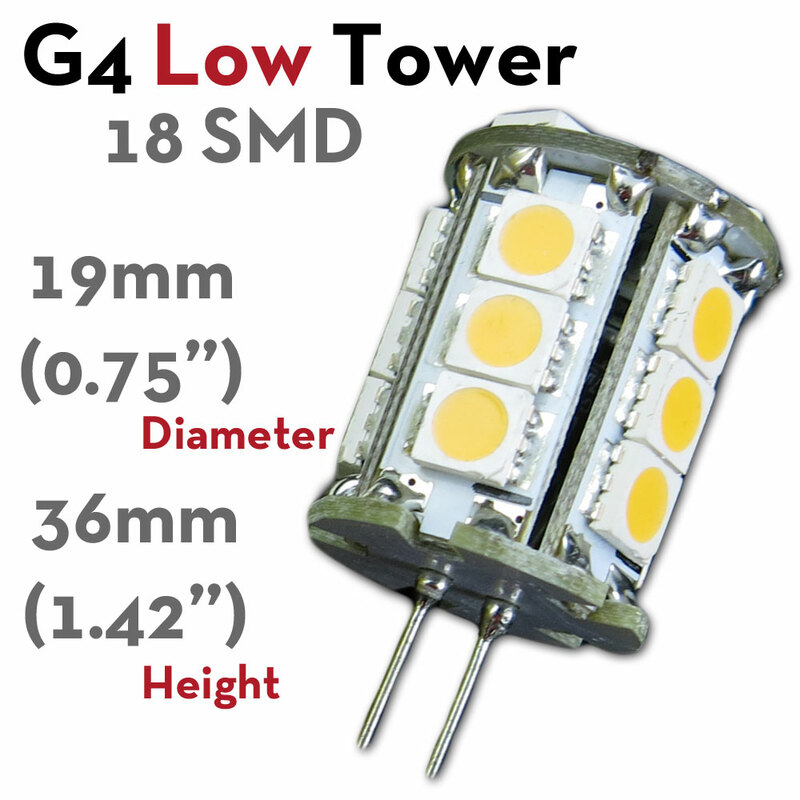 Low tower is a compact alternative to standard height LED towers. THE BEST CHOICE (if you have the depth) for GLASS SHADE READING LIGHTS with back entry sockets - illuminates well in all directions.